Currently Mommin like a boss this week, except for the fact that I broke my toe. This is my second toe breaking and unfortunately I broke the same exact toe eight years ago. I’m less emotional than I was the first time it broke, this time I immediately started icing, resting when possible and taped the toe, among other home remedies. Even with the little one’s making me hobble all day chasing them around, I mustered up the energy to make this Easy Sausage Cheese and Egg Casserole. This breakfast casserole is a scrumptious, simple and savory dish to please a crowd. I have one secret ingredient that I use in this casserole, Whole Foods Bakery slider buns. Soft, airy, and buttery, it doesn’t get better than that. Then you have bites of warm sausage, with a perfect amount of ooey gooey cheese and egg in each bite. This Easy Egg Casserole is one your family is going to love to make over and over again. Simple and tasty are two combinations for the perfect breakfast, especially for those of us currently surviving this parenting thing or just if the bussyness of life has taken over. As I’m typing this my children are behind me vacuuming the entire house. 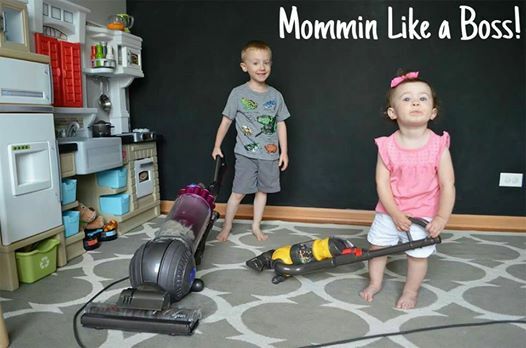 Yes, even the one year old with her Dyson Toy Vacuum that actually collects dog hair! Having a broken toe isn’t stopping me, I’m making delicious meals and all while having the kids help clean up. I’m currently feeling like “I GOT THIS!”, well, for the next few minutes at least. Then moments from now I’m sure someone will touch someone and the sibling rivalry will have me feeling defeated all over again, I’ll then hobble over to diffuse the situation with this useless toe. First, assemble everything for this Easy Sausage Cheese and Egg Casserole the evening before and refrigerate overnight. As soon as you wake up remove the casserole from the fridge and allow to sit at room temperature for fifteen minutes (while you make some delicious coffee). Then, in the oven goes the casserole to bake, while you sit down to enjoy that hot cup of coffee. The casserole will begin to perfume the air with a heavenly and delicious aroma, while your relaxing or possibly chasing your rambunctious children (like myself 😉 ). This Easy Sausage Cheese and Egg Casserole is a classic and simple recipe your going to make over and over again. Before freezing cut the casserole into slices, line large freezer safe Tupperware or glass container with parchment paper and space the casserole slices out, then another parchment paper over those and so on and so forth.